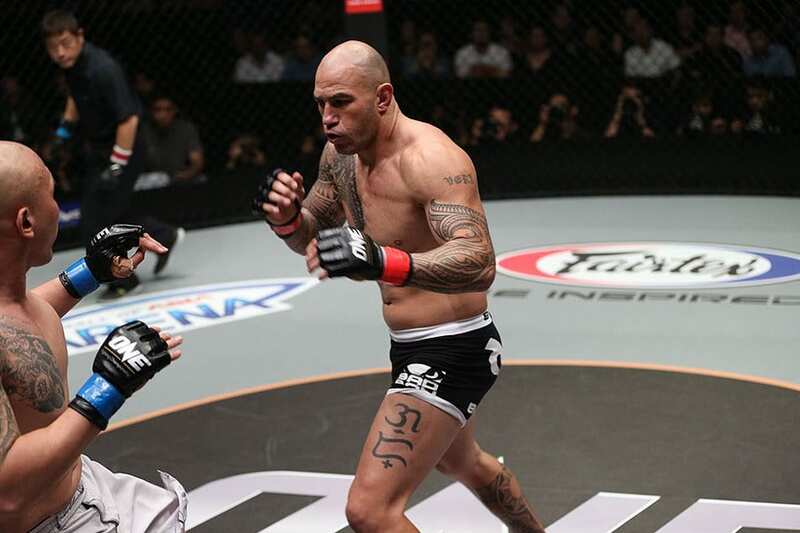 Fresh off a spectacular performance against Italy’s Mauro Cerilli at ONE: CONQUEST OF CHAMPIONS last 23 November, reigning ONE Heavyweight World Champion Brandon “The Truth” Vera is already contemplating when he will be returning to action. Looking forward to 2019, Vera is targetting a slot on one of ONE Championship’s cards in Tokyo, Japan. The first event is scheduled for March 31, but Vera aims at a slot in the second event later in the year. The 41-year-old veteran already has his sights set on a goal and a possible opponent. “I’ve asked to fight again, October of next year in Japan, and I’ve asked to fight whoever is holding the light heavyweight title, that’s who I want to fight next,” he revealed during the post-event press conference. Aung La N Sang, also known as “The Burmese Python”, is one of the most popular martial artists in Asia, especially in Myanmar where fans go rabid everytime he performs in Yangon. Just like Vera, Aung La is a huge superstar. He’s also the current ONE Middleweight and Light Heavyweight World Champion. “If you don’t know Aung La, you don’t know what you’re talking about here,” Vera expounded. Vera, widely considered one of the most talented veterans in the sport of mixed martial arts, is at the tail end of a glorious career. But although the end draws near with every passing day, “The Truth” still seeks out new ways to put himself to the test, despite his advanced age. Vera says he’ll continue to fight on until he can no longer physically sustain the demands of competing at the highest level. He even has a timetable already in mind. “That’s who I’ve asked to fight next. I continue to want to challenge myself and find the best athletes in the world to compete against until my body doesn’t want to do it anymore,” he stated. As ONE Heavyweight World Champion, Vera has been largely inactive. 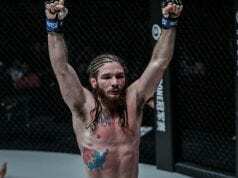 Prior to his bout with Cerilli, he had spent nearly two years away from the cage. Part of this is due to Vera’s focus on his budding acting career. Vera co-starred alongside Filipino superstar Anne Curtis in a movie called “BuyBust”, available on streaming site Netflix. Vera has expressed previously that when his mixed martial arts career is done, he would pursue acting full time. After successfully defending his title, Vera’s focus once again shifted back to his obligation to the silver screen. “When I stepped out of the cage after beating Cerilli, I talked to the management group, and we already have three movies in the books. Two of them will be here in the Philippines, and one will be in Hong Kong and the Philippines,” said Vera. But despite the advanced bookings, Vera says he will maintain focus on defending his title for as long as he can. “They’re not going to be two years, I promise. I’ll never be away for that long again, I promise,” Vera concluded.